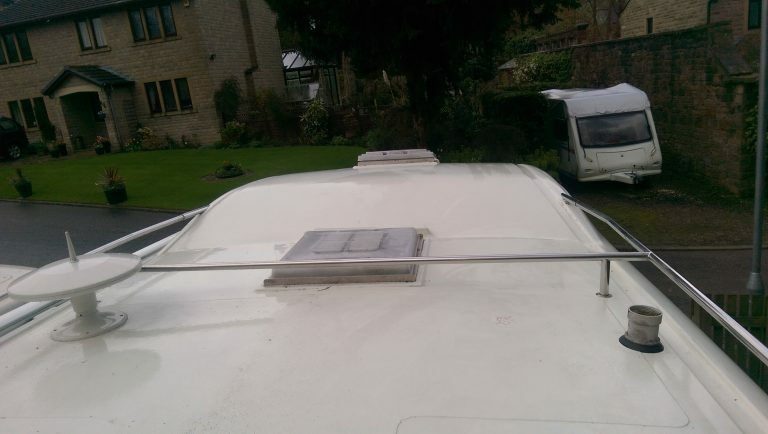 Sometimes, motorhome owners are unable to user their ‘van for various reasons. 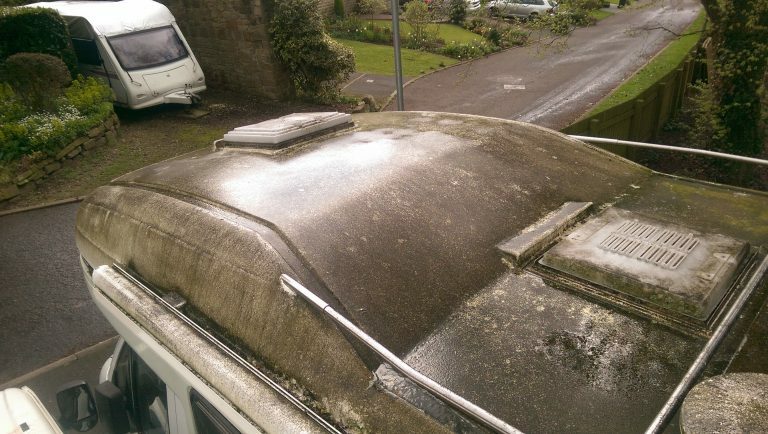 Consequently, in this time, the motorhome can become dirty, with tree sap, moss and general grime building up. SSA Valeting and Cleaning Services offer fully mobile motorhome cleaning in West Yorkshire and surrounding areas. Let’s take a look at this Autosleeper and see how the “as new” look returns over the course of a day. First job is the roof. I thoroughly clean the roof using a soft brush, soapy water and plenty of elbow grease. A cold water rinse will follow. Intricate areas also enjoy a refresh, with particular attention to the TV aerial, roof rails and around roof lights. The exterior of the motorhome receives a soft brush wash too. 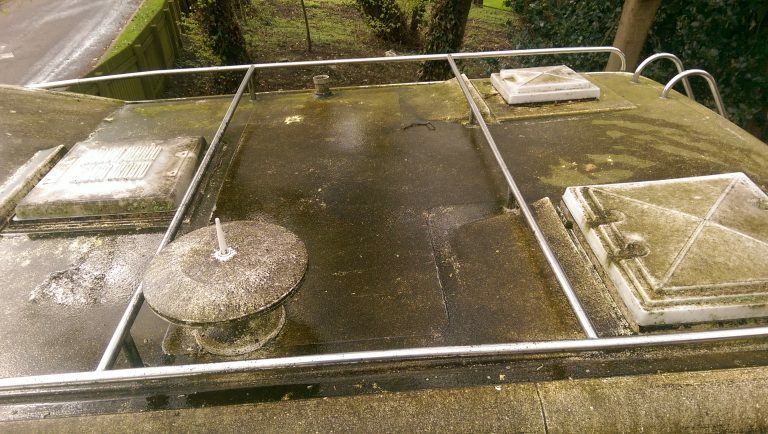 All external glass, mirrors, lights and plastics are cleaned. 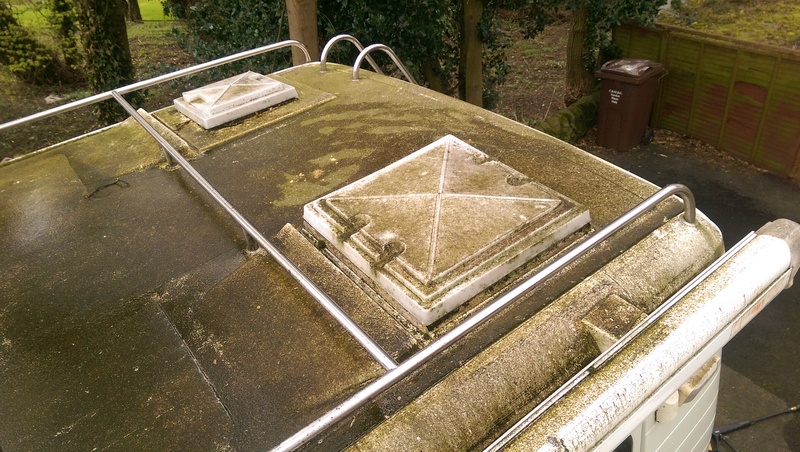 Motorhome cleaning in West Yorkshire – how to book? To book, call Scott on 07725 547101 or visit the contact page above. Advance booking is essential. 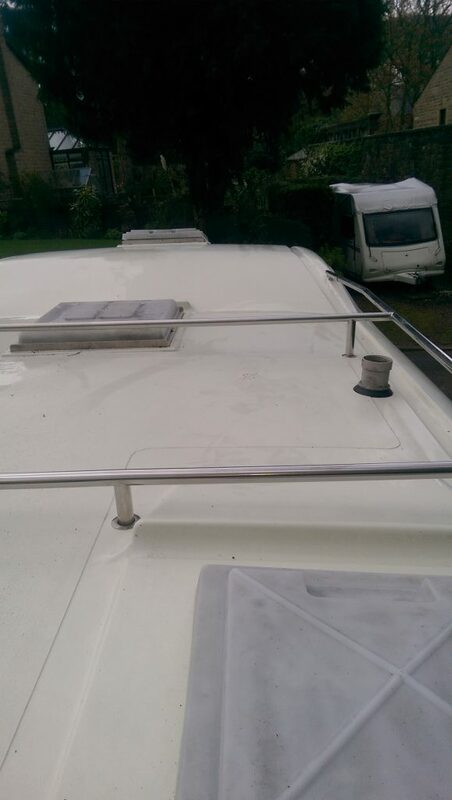 To valet the exterior of a motorhome, I will require to be on site for between four and six hours. 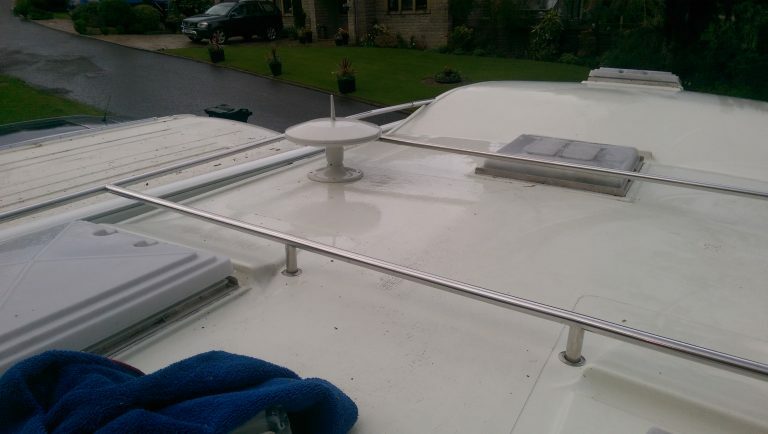 A motorhome exterior valet starts at £80. A quote for the interior is available upon request. In addition to motorhomes, SSA also offer a fully mobile valeting service for cars, caravans, vans and even American RV’s. Please call to discuss your requirements. Speaking of motorhomes, you may enjoy reading this blog, featuring a Swift Kontiki motorhome as it meanders through Europe! The £80 caravan valet – what is included?